Love at first sight and the perfect fairy-tale ending. We’re in Prague! It’s been a while since a city has rendered me speechless at first sight. It’s just so dang cute! 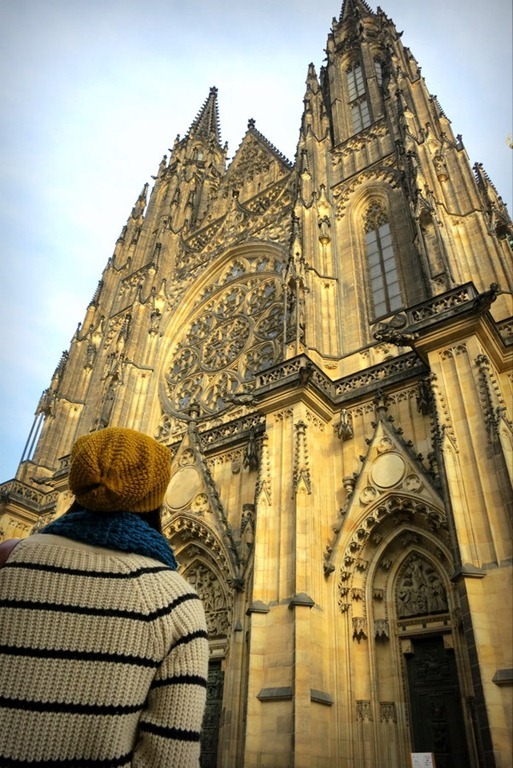 There’s a reason why many before me are captivated by Prague and it’s charm and beauty – it’s like straight out of a Disney movie. 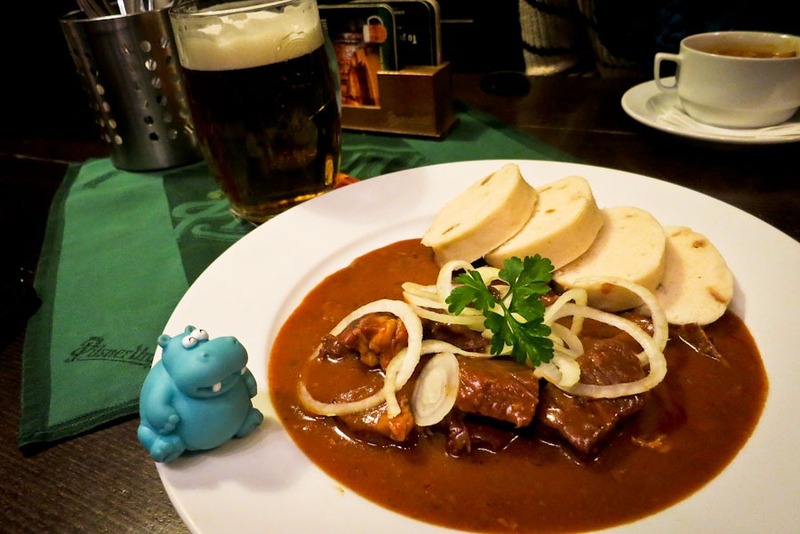 From cobblestones to castle, goulash to pivo, you’ll quickly realize Prague is the perfect European city. we did not climb the thousand spires of Prague though any spire you climb is bound to have a breathtaking view of the city. 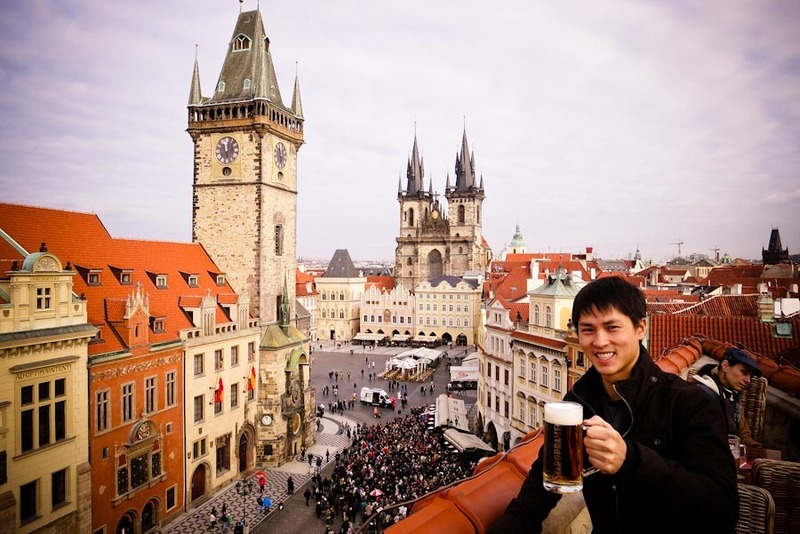 Instead, we came here, to the U Prince Hotel, for a beer on the rooftop and arguably the best view in town, my favorite view, Old Town Square. I’m so glad we signed up for a pub crawl otherwise we would have never discovered Karlovy Lazne, a five- floor club with each floor dedicated to a certain genre or style. There’s something for everybody. 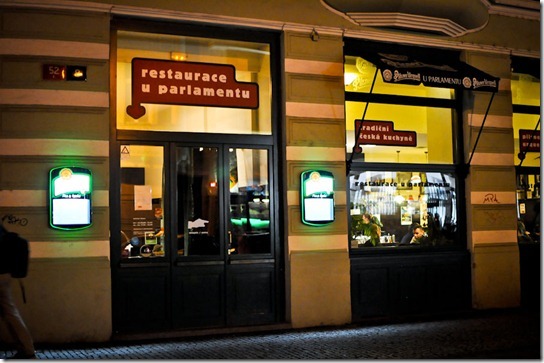 For cheap, delicious traditional Czech food and still within Old Town. I love the vibe here, it’s all locals, all the time. Is cheaper than water, it’s true. And you can bet we drank more beer in Prague alone than our entire trip combined. What’s not to love? Tender beef, savory sauce – it reminds me of Vietnamese bo kho (beef stew). Next to Old Town Square, the view by the river, of Prague Castle and the Charles Bridge is my second favorite. 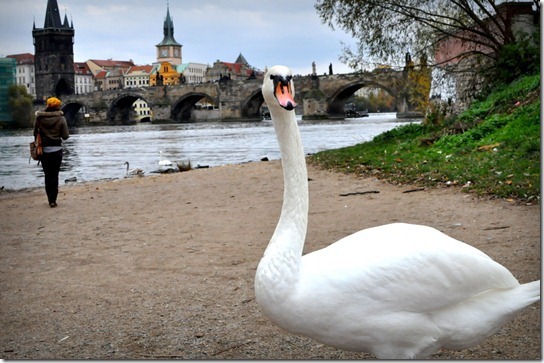 And.. it has real swans! Pastel buildings, brick orange tiled roofs and windows with embellished white trimmings, it’s all too cute. Like gingerbread houses everywhere you turn. Are weird along with everything else about this quirky city which makes it so fun to explore on foot. 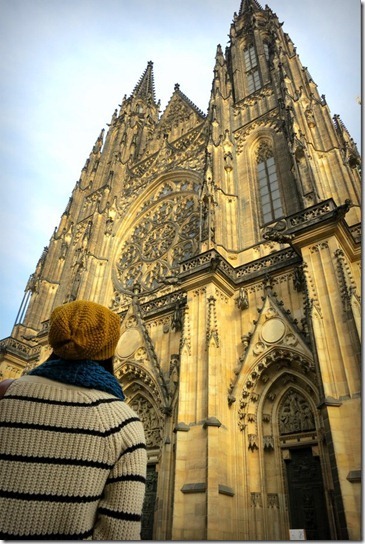 We’ve seen our fair share of European cathedrals and castles. This is easily one of the prettiest. 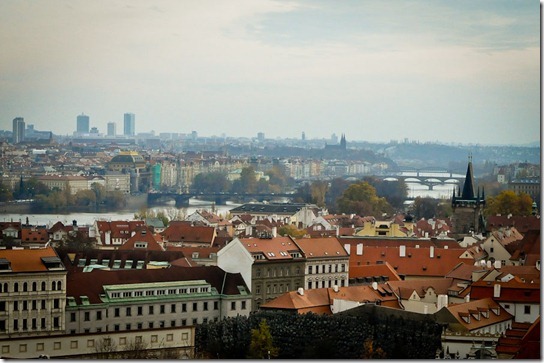 When in Prague… get engaged – we did! What about you? 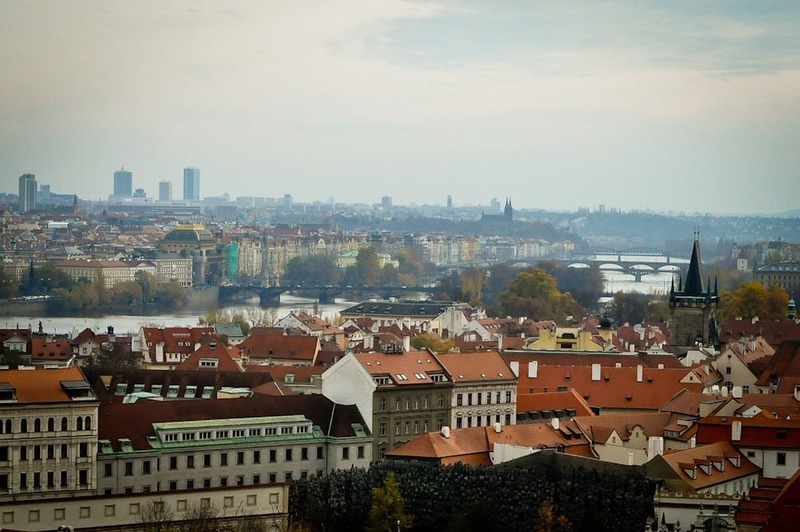 What do you love most about Prague? Our trip to Eastern Europe was made possible by the awesome folks at Eurail.com. Truly the best way to travel throughout Europe – if not for the scenic views alone. Lucky you! 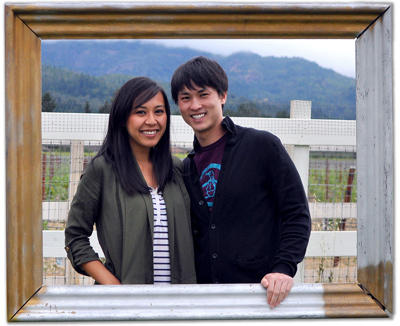 We had plans for Krakow, but was afraid it might have been too cold for these Californians in winter. Lol, next time for sure! We were unimpressed with Prague. 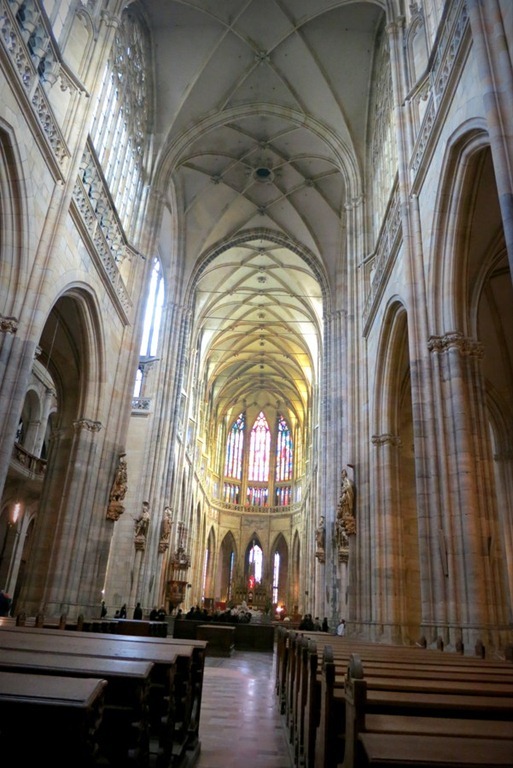 It’s far too touristy for us, with prices that don’t reflect the rest of Czech Republic. Much more enjoyed the smaller cities, especially Olomouc. 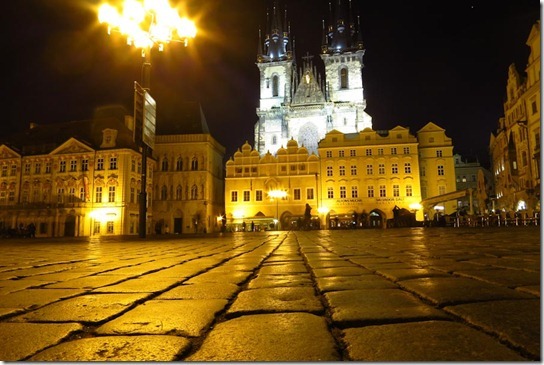 Aww NYE in Prague – sounds spectacular! Ahh man, I didn’t do half the things you did. All the more reason to return soon, right? I’m interested to see the castle catacombs.. Thanks for reminding me about the big babies! That’s sooooo weird. Did you see them crawling along the side of that tall building? 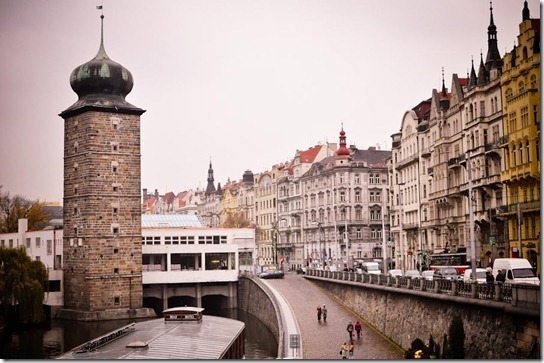 Been to Europe many times but never to Prague.. Seems like I am missing a lot! Oh that’s right, I think you mentioned Olomouc before. I would love to go back and explore the Moravia region. 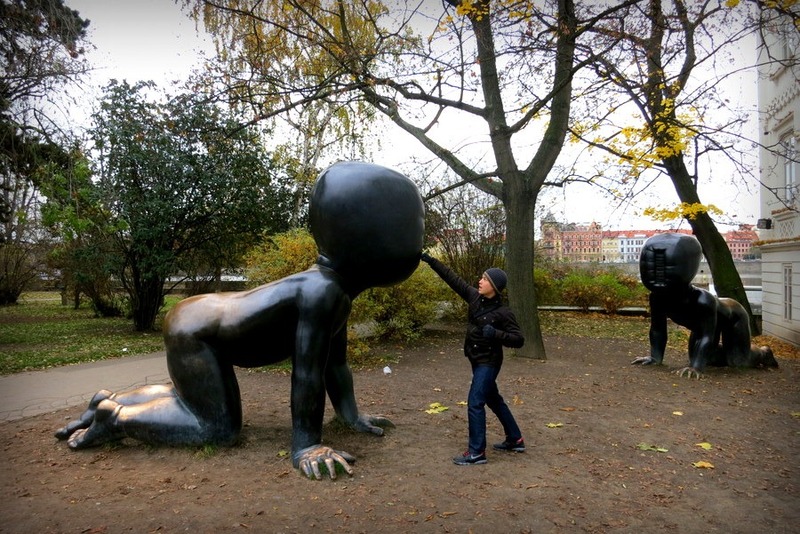 Prague is amazing. I remember those swans, though if I recall they were pretty mean! Looks like you got close enough for a good picture. I think we got lucky. Some tourists were feeding them so we managed to sneak in for a photo before they pecked us. The swans are incredible tame. Congratulations again. 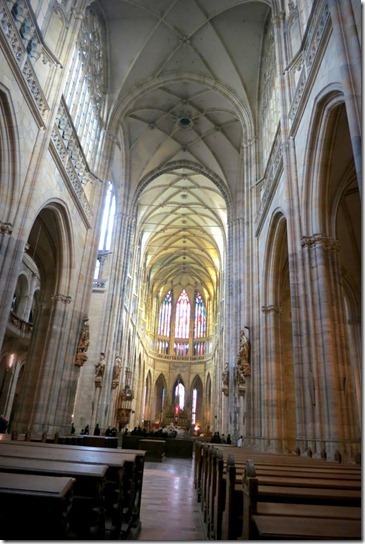 I visited Prague in 2003. Thanks for reminding me why I love this city so much. I am absolutely in love with Prague and so happy you both chose this city to start your next chapter. there is something about Prague that makes it so magical and fairytale-like. 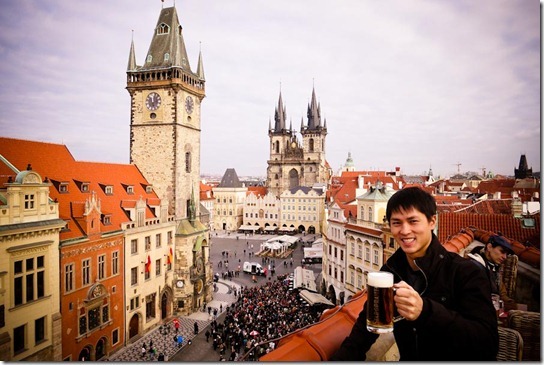 My next trip to Prague will involve a traditional Czech Folk Night with the locals and rock climbing over the falls! Great photos! 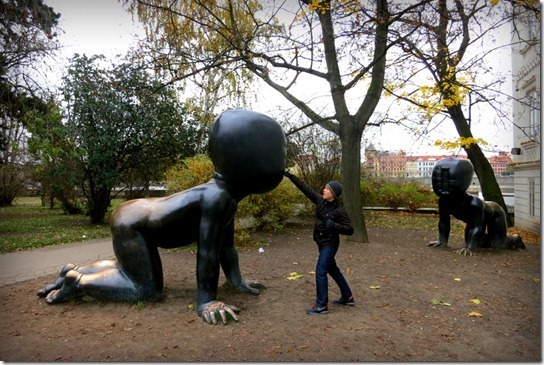 I will need to keep in mind the location of that place you took the first photo if I ever get to go to Prague again. I am a fan of all panorama spots, ever. U Prince hotel! 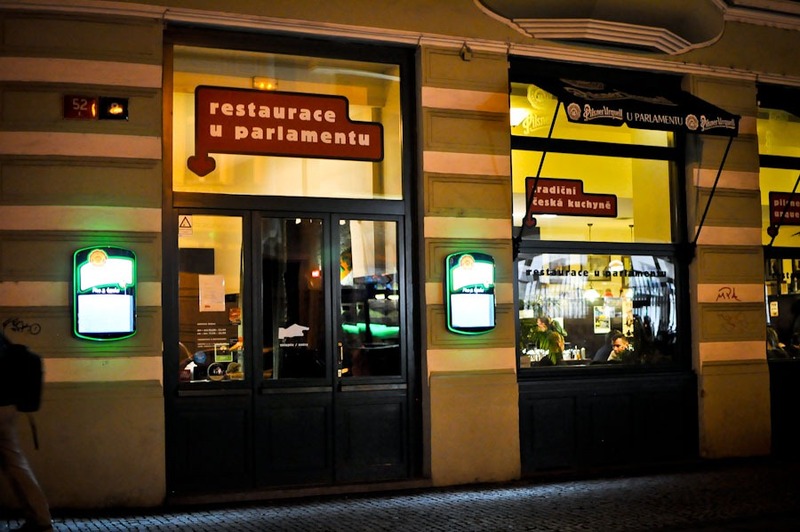 That have a chic underground bar too with award winning drinks! Why have I still not been here? With each post I read, the more I want to visit! Beer. 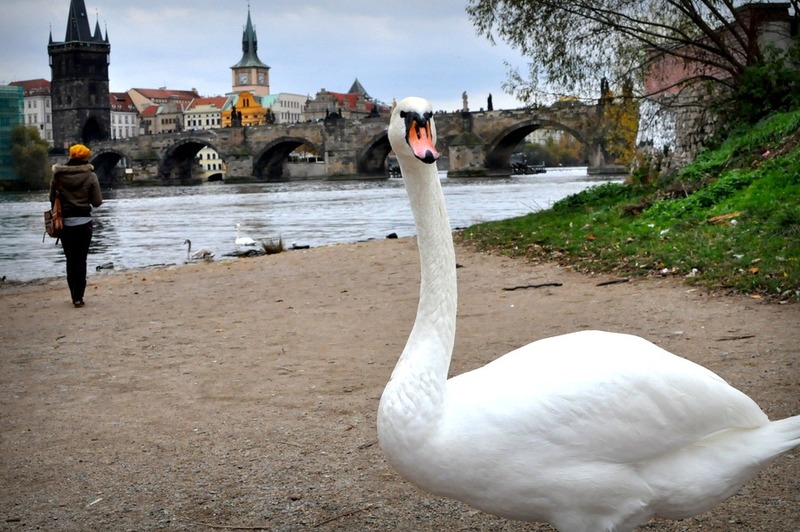 that along can be all 11 reasons to visit the Prague. oOoo Czech folk night?! That sounds cool. Where do you go rock climbing over the falls? Clearly I need to go back..
Oh are you heading to Prague soon? It’s a wonderful city!